When Catholic student Yeong-shin (Park So-dam (박소담) is involved in a hit-and-run incident, she begins to develop peculiar maladies that doctors are at a loss to explain. 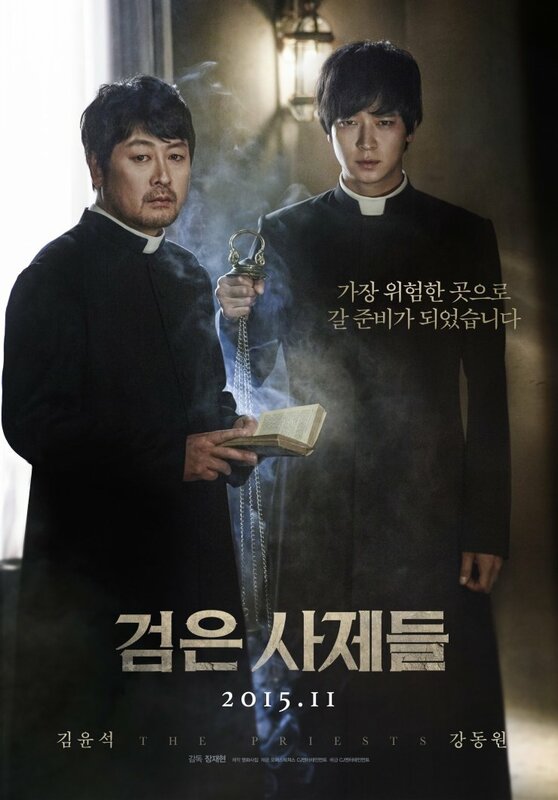 Upon visiting the distraught youngster, Priest Kim (Kim Yoon-seok (김윤석) becomes convinced she’s possessed and prepares to exorcise the demon within, despite the church ‘s refusal to sanction the ritual. Yet Kim cannot perform the ceremony alone, and employs the help of Deacon Choi (Kang Dong-won (강동원). Together, they may just have a chance at saving Yeong-shin’s life…or perhaps Kim really is as crazy as the allegations against him claim to be. One of the surprise sleeper hits of 2015, writer/director Jang Jae-hyeon’s exorcism drama The Priests is far more fun and entertaining than it has any right to be. While religious mystery-horrors are quite a rarity in Korean cinema, Jang popularises the risky prospect by imbuing the film with an unexpected amount of wit and charisma which, alongside impressively constructed exorcism scenes, are enough to overlook the various narrative shortcomings. Adapting his well-received 2014 short film 12th Assistant Deacon – which notably won the Best Director Prize at Jeonju International Film Festival – into feature length format was no easy feat, but director Jang succeeds much more than he fails. 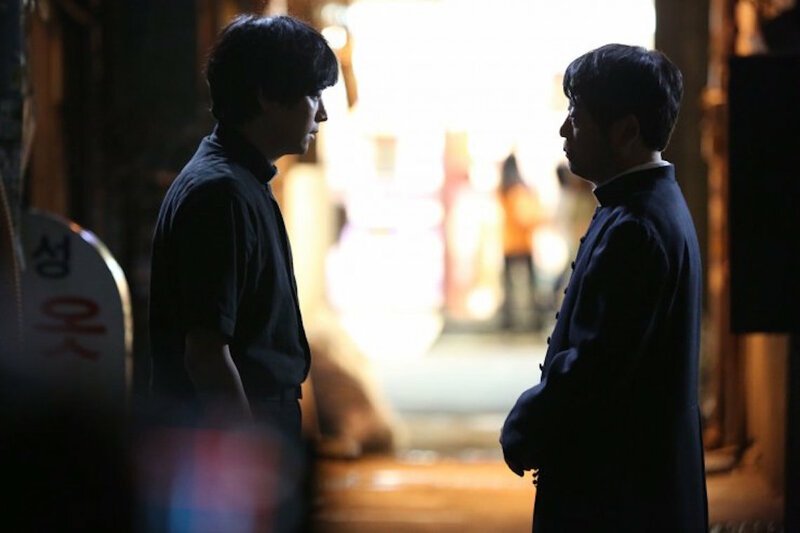 The Priests is an enjoyable affair chiefly due the characterisation and resulting conflict between stoic Father Kim and lackadaisical Deacon Choi who, as polar opposites, play off each other well throughout the film in ways both comedic and entertaining. 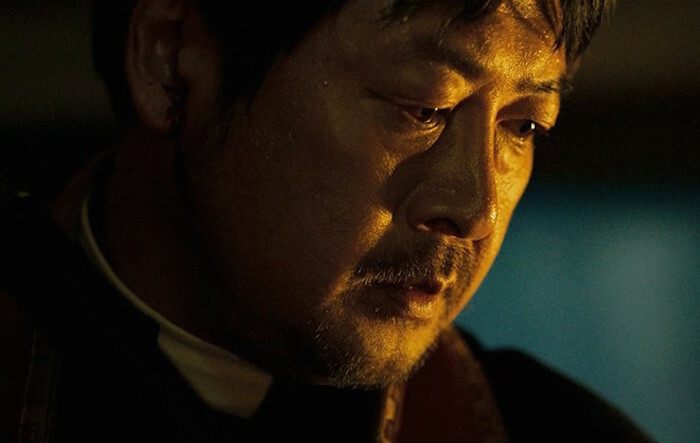 The narrative unveils predominantly through Choi’s perspective as he is asked to join Kim for the exorcism ritual, while never really quite sure of the reality of the situation. Kang Dong-won is somewhat miscast in the role as the naive Deacon but he infuses the role with a palpable likability while the approach is a good one, introducing the concept to unfamiliar Korean audiences while also addressing the cynicism such tales evoke. The humour and mystery involved in preparing for the exorcism is entertaining enough to distract audiences from the fact that there are plot holes and unresolved tangents galore as well as the curious absence of an emotional core. In the original 1973 horror classic The Exorcist director William Friedkin spent much of the first act developing Regan prior to her possession in order to heighten audience empathy with her situation; in The Priests no such effort is made with Yeong-shin and as a result her ordeal is difficult to invest in despite the shock value. That said, however, Park So-dam embodies the role of the traumatised teen brilliantly and works wonders with the little material she has, flitting between innocence and raving lunacy seemingly at ease to make sequences particularly disturbing. Much of the first half of the film, while enjoyable, is mostly filler prior to the actual exorcism itself, where The Priests ultimately unveils its unique aesthetic. Taking cues from previous films involving exorcism whilst incorporating a distinctly Korean take on the material, director Jang and the production crew are to be commended for constructing a startlingly effective sequence of macabre events as the ritual unfolds. The set design alongside impressive practical effects create scenes of supernatural horror that are thoroughly engaging, and offers one of the more unique cinematic experiences from the Korean film industry. The Priests is quite a rarity in Korean cinema, with writer/director Jang Jae-hyeon’s take on exorcism subject matter far more entertaining than it has any right to be. The comedic and mysterious undertones help to mask plot holes and the lack of an emotional core, yet the drama comes into it’s own during an engaging final act and as a result is one of the more surprisingly enjoyable films of 2015.